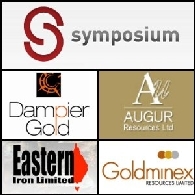 Symposium Resources Roadshow for June 2011 is to showcase Augur Resources Limited (ASX:AUK), Dampier Gold Limited (ASX:DAU), Eastern Iron Limited (ASX:EFE) and Goldminex Resources Limited (ASX:GMX). Commissioners Gold Managing Director Robert McCauley discusses the current gold and base metal projects the company is currently engaged in, the share offer prospectus and the value of participating in the Commissioners Gold IPO. EXPERT VIDEO: ABN Newswire interviews Mark Gell, an experienced executive who can provide practical counsel to senior management and Boards in a cost effective manner across a broad range of areas and issues. FINANCE VIDEO: ABN Newswire interviews Mike Rosenstreich, MD of Bass Metals Limited (ASX:BSM) about the company&apos;s lead, silver and zinc operation in Western Tasmania, as well as the involvement in the inaugural RES Event at Broken Hill. ABN Newswire interviews AMEC Chief Executive Officer - Simon Bennison at the Resources and Energy Symposium in Broken Hill. Simon Bennison is Chief Executive Officer of the Association of Mining and Exploration Companies (AMEC), based in Perth, Western Australia. Executive Chairman Greg Starr of Gold Anomaly (ASX:GOA) talks to ABN Newswire about current gold and base metal project throughout Papua New Guinea [PNG], the Crater Mountain project, aand benefits of exhibiting at the Resources and Energy Symposium in Broken Hill. Adelaide Resources (ASX:ADN) Managing Director Chris Drown speaks with ABN Newswire at the Resources and Energy Symposium in Broken Hill. Adelaide Resources is a company focused on gold, copper and uranium with projects spread throughout Queensland, Northern Territory and South Australia. 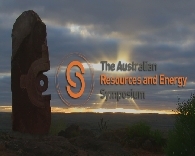 Lithex Resources (ASX:LTX) Chairman Malcolm Carson is interviewed in Broken Hill at the Resources and Energy Symposium. Lithex tenements cover areas which contain the valuable transition metal minerals including tin, tantalum, niobium, alkali metals including lithium, potassium and with scope to define rare mineral lanthanides and actinides.